Spreadbetters pointed to a subdued start for Europe, with Eurostoxx 50 futures flat while futures for Germany’s Dax and London’s FTSE opened lower. Risky assets have been volatile so far this year while bonds have rallied on fears of a recession in the United States and the possibility of a sharper slowdown in other major economies including the euro zone. Also weighing on sentiment, President Donald Trump has escalated trade tensions by threatening new tariffs on goods from the European Union, even as the Sino-U.S. trade dispute remains unresolved. All those risks pulled down Asian equities on Thursday. 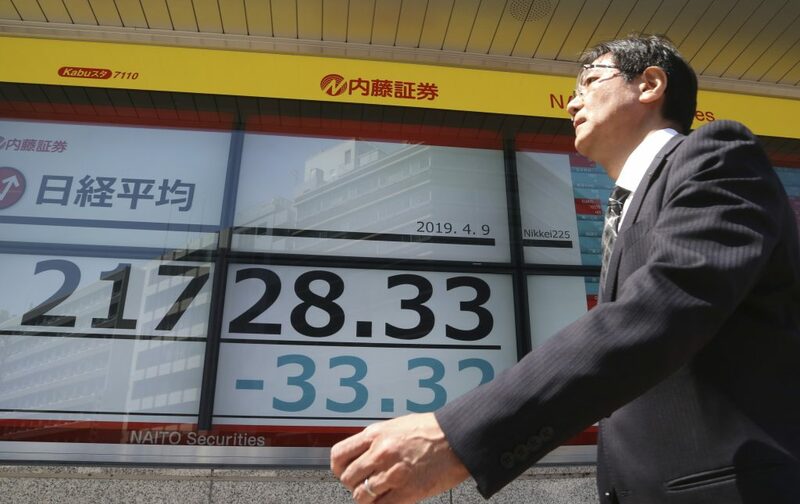 MSCI’s broadest index of Asia-Pacific shares outside Japan slipped 0.4% after four straight days of gains took it to the highest since last August. Japan’s Nikkei reversed early losses to end 0.1% higher. Losses in Asia were led by Chinese shares, with the blue-chip CSI300 index off 1.7% while Hong Kong’s Hang Seng index stumbled 0.7%. Australian shares also lost ground, pressured by political uncertainty after the prime minister called a national election for May 18. But, Twidale said, investors were still on the lookout for a trigger that would push markets out of their familiar trading ranges. “If, as we expect, growth in the euro zone continues to disappoint over the coming months, we think that ECB policymakers will adopt an even more accommodative stance,” analysts at Capital Economics wrote in a note. While easy monetary conditions are generally a boon for equities as investors go hunting for yield, share price performance could take a hit if corporate earnings suffer in a slowing economy. In currencies, the British pound held on to gains after European leaders agreed to extend the deadline for the U.K. to leave the union to the end of October, averting a potential crash out of the bloc on Friday with no divorce deal but threatening more months of uncertainty. Sterling has stayed in a triangle holding pattern between $1.2945 and $1.3380 during the past month or so. It was last at $1.3080. The dollar index fell for a fourth straight day to 96.933 against a basket of major currencies. The euro was barely changed at $1.1275 while the Japanese yen was a shade weaker at 111.11 per dollar after three days of gains. In commodities, Brent futures eased 27 cents to $71.46 a barrel. U.S. crude dipped 30 cents to $64.31. Gold hovered near a two-week top on Thursday at $1,306.97 an ounce.